Brian Henson talks about the making of great characters and SyFy’s new competition show, Jim Henson’s Creature Shop Challenge. 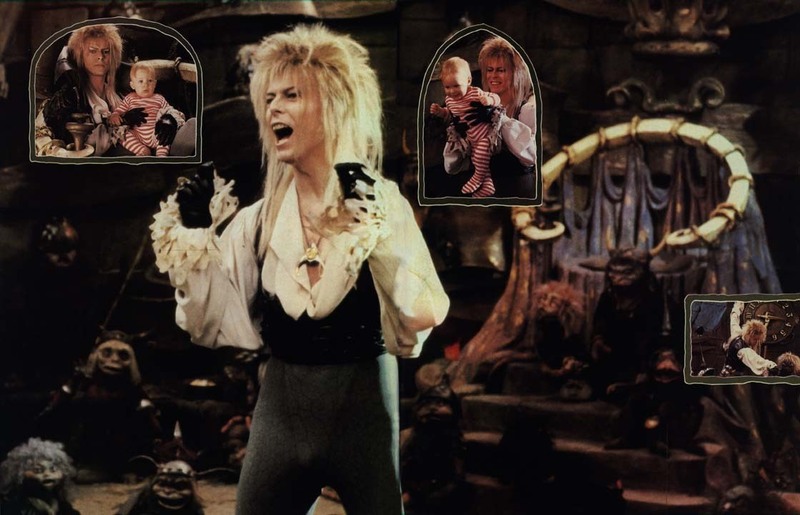 Every Saturday during the year I turned eight, I made my parents rent The Labyrinth from the local video store. It’s a darkly funny and intricate fantasy about a teenage girl whose baby brother is stolen by goblins. She must get to the center of the eponymous labyrinth to get her brother back. In addition to featuring David Bowie in a spandex unitard, The Labyrinth has some of the greatest characters that Jim Henson’s Creature Shop has ever made, and the movie reminds you that Henson’s name is synonymous with more than just Muppets. You forget that creatures like Hoggle, a dwarf with a wide, open face, and Ludo, a yeti-looking guy with a heart of gold, are not real beings, because their movements and emotions are so lifelike. Jim Henson’s Creature Shop Challenge, premiering March 25 on SyFy, seeks to show the nuts and bolts and artists behind those remarkable creatures. It’s a reality show where the prize is a contract working at the Creature Shop. The contestants are all designers–from self-taught puppeteers to special effects artists who have worked on big budget movies–and they’re all vying for a chance to work in the renowned shop. The competition is structured just like Project Runway, but the contestants are creating creatures within super-short time frames instead of dresses. But the show is much more fun to watch than Project Runway, because the end result of each challenge is something like a bizarre moving sea creature with tentacles and fur instead of a fashion forward frock. Brian Henson, one of Jim Henson’s children and the chairman of The Jim Henson Company, is a judge on the Creature Shop Challenge. He has also worked as a director, a creature performer, a writer, and a puppeteer, so he knows the creature business inside and out. He spoke to Co.Create about what makes a great creature, the importance of back story, and why creating creatures is way better than answering email. There are generally two basic backgrounds for creature creators. Some come from art school or are more focused on the design side of creatures. Some are mechanics, who have come out of special effects or even prop building but do really incredibly intricate mechanisms. This show celebrates the very few people who can do both mechanics and design. The all-around creators are the rarest. What these creature designer builders can do is the closest thing to magical that I know. The primary things we’re looking for in a creature is believability and performability. The creature needs to look believably alive and act believably alive. There is a lot of emphasis on story. If you don’t have a back story for a creature, then it’s hard to create a creature with that element of believability. It lets you create with credibility. There’s so many creatures that we’ve done that I’ve loved. Because I performed Hoggle in The Labyrinth, I was very close to that character. My favorite animatronic character is Pilot from the series Farscape. It’s a really beautiful, very believable creature. There was no rod removal or string removal or puppeteer removal post production with Pilot. Farscape was the first series that the SyFy network commissioned. We did 88 hours of that series, and there’s extraordinary animatronics. It’s like Star Trek but much wilder. I also worked on Little Shop of Horrors, so I love the various Audrey 2s. Oh! And Splinter from the first Ninja Turtles movie, their rat father figure. That worked really, really well. I really loved him. I was 26 when my dad died, and I took over the company as CEO and chairman. For the next 10 years it was all consuming. Until 2000. That’s when we sold the company, though we bought it back three years later. When we bought it back, I wanted to get back to being more creative, doing more directing and producing. So now I’m a non-managing chairman, and my sister Lisa is CEO. Which means now I can dedicate more time to creative. On a typical work day, I will drop kids off at school, go to work, plan what I’ll try to accomplish, have a couple of meetings about the state of deals and projects. Then I’ll dedicate time to developing prime-time TV and features. Once you have a great idea, you have to have a tireless effort to sell a project that requires financing. It’s really hard work, and you have to stay at it. A third of my day is trying to push projects that are ready to go to get them to a green light. I don’t like doing email. I try doing it in two sittings a day. It particularly horrifies me when people say that they can do email all day long and feel like they’ve accomplished something. I don’t feel that way at all.